What is your favorite song performed by the Gaither Vocal Band, and why? If you could only have one book (in addition to the Bible) for the rest of your life, what would it be and why? Who are your favorite Southern Gospel music groups? Do you have a favorite Easter tradition? We'd love to hear about it! 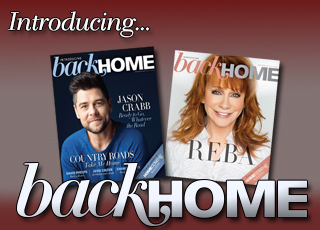 Homecoming Magazine loves to hear from you! Take a moment to answer one of our fun questions and share what's on your heart. Besides Jesus, who else has been a light in your life, and how have they let their light shine? What is the best advice you ever got from your mother? We'd love to hear it. Through a little extra effort and creativity, we can transform everyday moments into something special. Have you ever done this for someone, or has someone done it for you? Tell us about it! Is there something your father or grandfather does (or did) especially well? Tell us about it! What's Your Favorite Patriotic Song? (JUNE 2012) We'd love to know what your favorite patriotic song is, and why you love it! (JULY 2012) What is something funny that you've heard a child say? (JULY 2012) Homecoming readers share their favorite Scripture passages with us. (August 2012) What movie do you never tire of watching, and why do you love it? (SEPTEMBER 2012) We'd love to hear about a Christmas gift or moment that was very simple, but meant the world to you.